Ransomware is dominating the headlines, and with good reason - it is one of the biggest threats to business in 2016. It has evolved into a self-replicating and network-aware criminal attack that can destroy smaller organisations and cause havoc in businesses of all sizes. 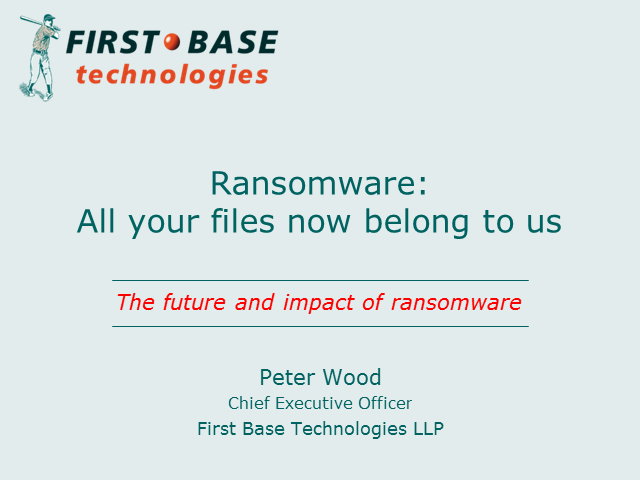 Learn how ransomware is developing, the attack vectors and what you can do to minimise your exposure.